Like many of you, I’ve followed the V21 developments with much interest and excitement, if I’ve largely done so from the margins (this is the first time I’ve been a part of any formal discussion about V21). There are so many things to commend and discuss about the manifesto and the published symposia, roundtable discussions, and essays that are out in the world now (particularly V21’s visions for institutional critique, which I hope we can talk more about in our discussion but which I’m actually not going to talk about now); what I do want to talk about is V21’s call for “strategic presentism” and how it relates to my vantage point in 18th-century studies. The term itself, which of course recalls Gayatri Spivak’s “strategic essentialism,” is, as I understand it, an attempt to retrieve presentism from the charge of anachronistic projection (a reading of the present uncritically into the past and a collapsing of historical identity and difference) and to redeploy it as a way to signal how the past informs the present, is at work in the present, and how the present shapes itself according to this examined past. While this sounds all well and good, I have to admit that, as I have been trying to follow the V21 collective’s adventures, I just keep getting stuck here at this concept (stuck as in stunned or perplexed). Is this really a problem for 18th-century studies? Do we need a strategic presentism to signal the urgency and relevancy of our field? If anything, there’s too much presentism in race, empire, and slavery studies. What we risk is not just misreading the texts of our past and what they can offer us in our present but a misapprehension of the present as well (more on this in a minute). I don’t think the answer is a return to reductionist historicist paradigms (those that V21, I think, are usefully critiquing) but a dialectical presentism, a presentism that can hold the past and present at once, that can account for an interdependence of identity and difference, that can project a future out of this mess and tangle of conjunction and disjunction. This need for but also demonstration of such a dialectical presentism came up for me in one of these aforementioned panels from yesterday when Suvir Kaul made a comment about how he thinks the Black Lives Matters Movement is influencing his teaching of the 18th-century. The example he gave was of a student in one of his courses who was essentially waiting all semester to get to Equiano’s Narrative, only to express profound disappointment once there and declaring it accommodationist, not seeing it as a narrative of self-making as he was hoping she would. Now, as we were discussing at the panel, to some degree the Narrative is accommodationist, but it’s also self-making and non-accommodationist, but we perhaps see only the former and have this kind of disillusioned feeling and reaction because we’re expecting Equiano to belong to a certain black community that exists today (our imagination of this kind of continuity of black collectivity is the thing Stephen Best critiques in his 2012 essay “On Failing to Make the Past Present,” which we also discussed). Such a need for dialectical presentism also comes up in my own work, which is, among other things, about what the study of servitude and slavery (and its relationship) can tell us about the present, in particular what it can tell us about the history of race as a concept—that race is an ideological concept that we made and that we have representations of its making, which, of course, means that it can be unmade. But in order for it (and racism) to be unraveled in the present, we have to recognize that it wasn’t always like this, that race was not a settled, congealed category in the worlds of (especially early) 18th-century texts. Distance and difference are necessary in our present in order to understand the past, the present itself, and to work for a different kind of future. So, presentism is a problem, and I think that, if we are to use it strategically, then it must be a dialectical one, so why not call it that? One question that Katarzyna Bartoszynska and Eugenia Zuroski asked in their call for this roundtable is whether or not the 18th century offers different approaches to the problems V21 so deftly lays out. In some respects, I think that’s what I’m trying to get at. 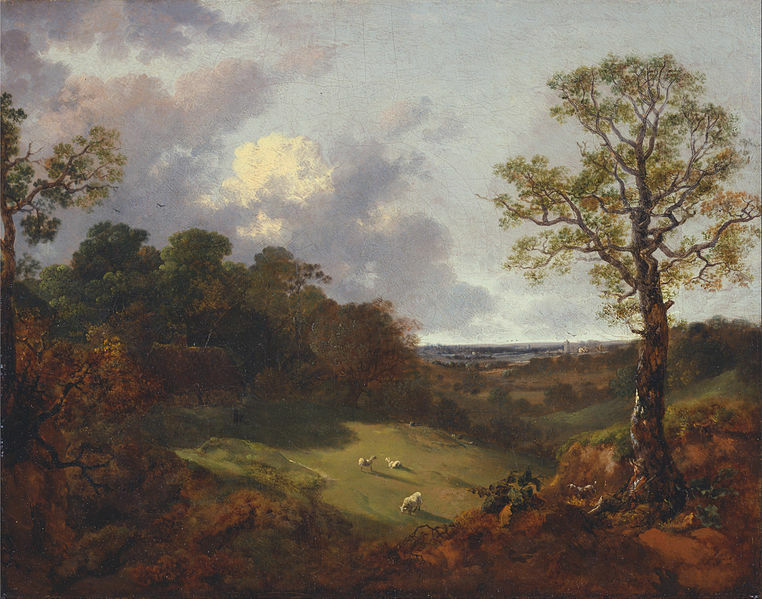 Perhaps the 18th century is uniquely situated as a field to see the need for some form of dialectical presentism. As I see it, our period is one of emergence, a period that showcases the simultaneous identity and difference of a host of now intelligible modern categories (and ones that are perhaps more settled in the 19th century), whether we’re talking about race, the novel, the author, the nation, the bourgeois subject, or sexuality, etc. The 18th century is strategically positioned to show us how things are made (and how they can be unmade) if we can figure out how to let it, and I think its transitional character gives us a useful model for understanding the dialectical relationship between our present and our past as we try to work for new futures. When we put out the call for participants on this roundtable, we asked whether eighteenth-century studies needed its own V21 moment, but we must confess that in thinking about the relationship between the two communities, we found ourselves wondering, instead, whether V21 needs eighteenth-century studies. Many eighteenth-centuryists—as Katarzyna Bartoszynska noted while attending the inaugural V21 Symposium—will have read many of the texts and theorists whose names circulate in Victorian Studies, but can the same be said of work in our field, for scholars outside of it? Could the more idiosyncratic status of eighteenth-century literature within literary studies account for the fact that some of what V21 identifies as pressing problems for Victorianists do not similarly trouble scholarship in our field? Presentism, for instance: not only do we not shy away from presentism, we are in fact continuously called upon to articulate the bearing our texts, and our work, have on the present, if only to persuade students to read it. For some time, many of us in eighteenth-century studies—as reflected in the institution of the “long eighteenth century”—have proceeded with an arguably irreverent approach to historical periodization, encroaching on both the seventeenth and nineteenth centuries in order to posit wide-ranging (or what some anonymous reviewers have described as “recklessly broad”) theoretical arguments. We routinely reach to material beyond the historical eighteenth century to think about what we nevertheless consider “eighteenth-century problems.” This tendency was observable in the roundtable: we were struck by how little mention there was of eighteenth-century texts. Rather than rely primarily on eighteenth-century thinkers to frame their approach to the V21 manifesto, panelists turned, for instance, to E. M. Forster and Matthew Arnold (though, to be fair, Sandra Macpherson emphasized how much Arnold is relying on Burke). On the one hand, this reaffirmed our sense that dix-huitiemistes are voracious readers who eagerly join in the kinds of “multi-field and multi-disciplinary conversations” that the V21 manifesto calls for. As Stephanie Insley Hershinow points out, a kind of “naïve synchronism” has served many of us well, particularly in the classroom, and may be leveraged to foster not only good scholarship but also new forms of public writing; such an approach could elevate and “bring in” the kinds of nimble thinking the academic precariat is already being asked to do, but without institutional recognition. But if we want Victorianists and other specialists outside our field to reciprocate with an occasional deep dive into our texts—the literature and philosophy of the eighteenth century, as well as scholarship on it—who would we point them to? Secondly—and these responses may reveal to V21-ists how people outside the field see them!—we had not expected presentism to be such a central point in the conversation. Indeed, of all the issues raised in the V21 manifesto, this seemed like the one least troubling to eighteenth-centuryists (though, with the contorted logic of the psyche, this may well be precisely why everyone was drawn to it). Carrying the conversation forward, it seems clear to us that beyond the question of presentist methods (strategic or not), we must also continue to think about the critical reassessment of antiquarianism and uncritical historicism, both within the eighteenth century and in our studies of it; the fear of our work not being compelling to scholars outside the discipline; the call for more rigorous theorizing, and for not opposing history and theory); the rethinking of form and formalism, including what Jonathan Kramnick describes as “form detached from politics,” and its relationship to an understanding of literary form, in Sandra Macpherson’s words, as “politics by another means.” While, as several panelists argued, eighteenth-century studies is already doing a lot of the things V21 calls for, and has done them well, we must commit not only to continuing in these paths but also to doing other and better work as well. How might we more effectively converse across fields and disciplines? How do we generate multiple modalities and new institutional frameworks? And, crucially for many of us engaged in this conversation, what is the relationship between these approaches and the mandate to assess academia and its projects in light of both colonization and decolonization? Finally, as to the question of institutional frameworks and new modalities: what are the best ways to produce future collaborations, not only across V21 and eighteenth-century studies, but broadly across various fields and emergent collectives? Borders between eighteenth-century scholars, Romanticists, and Victorianists grow ever blurrier, and we are not the only V21 affiliates whose work fits in more with ASECS than NAVSA. Is the time ripe for a friendly takeover, a broadening of the tent? Are V21’s intellectual goals bigger than Victorianism—are they, in fact, a clarion call for literary studies as a whole? Or do those of us working in the eighteenth century need, instead, to start our own collective, and encourage cross-overs? Discussion in the panel’s Q&A suggested that such an organization would have as one of its objectives a commitment to antiracist and anticolonial work in our field, joining the work of groups such as Bigger6 in Romantic studies, ShakeRace in early modern studies, and the Medievalists of Color. (Since the recent ASECS meeting, we have added the BIPOC18 collective to this list). While V21 is clearly engaged in such work—as Anna Kornbluh pointed out, V21 is motivated by the postcolonial call to break down the national and historical frameworks through which literary studies have reproduced imperialism—this goal is not explicitly part of the manifesto. Should it be? Or, rather than perpetually revise our mission statements, should we focus on making collectives and building coalitions, respecting each organization’s way of approaching the big picture? One thing that the V21 Collective has done beautifully is actively to integrate graduate student, non-tenure-track, and early career researchers in ways that allow them to feel (correctly!) that it is their platform as much as anyone else’s. It has served as a model for other collectives in this regard. We believe that, in our shared but inequitable present, providing a “home” for institutionally disenfranchised peers, and practicing non-hierarchical methods of interaction, is one of the primary reasons we need new platforms, genres, and scholar-activist communities in our fields right now. Whether or not we organize a “V21 for the C18,” how might we best provide space for active collaboration across not only periods but also differentials of institutional power? One thing we have observed as C18-based affiliates of V21 is that traditional periodizations are, in fact, not a separate issue from the question of how institutions organize power. Building new coalitions in defiance of hierarchy necessitates transhistorical and cross-field thinking. We certainly long for academic frameworks and infrastructures that would put us in touch not only with Victorianists, or Modernists, but also Early Modernists and Medievalists, of all ranks. It seems vital that we routinely remind each other that one period’s “emergent objects” can be another’s foregone conclusion, and to take stock of the way our different knowledges appear from each others’ perspectives. Let’s not lose sight of the fact that one of the reasons we, as eighteenth-centuryists, ended up in V21’s orbit is because its work is so exciting! In a present that is so bleak in so many ways, we all need the gravitational pull of concerted collective effort to stay in motion. We feel the possibilities of broader collaboration, and of circulating knowledges along new paths, as an influx of energy. How might we reciprocate and carry this energy forward by making eighteenth-century studies a vitalizing resource beyond the period, the discipline, the academy? Edward L. Mooney. “The Hero of Lake Erie.” 1839. 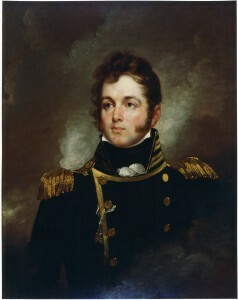 Portrait in oils after John Wesley Jarvis (1839). U.S. Naval Academy Museum Collection. The non-Western world was the “common” of 18th-century Europe, territory to be gradually colonized—fenced off, walled off, or hedged off—by powers looking to raise the value (and the rents) of their respective empires. For modern nations forcibly melded and forged within this ruthless cauldron, imperial legacy offers a bitter, but seemingly indispensable path to identity. 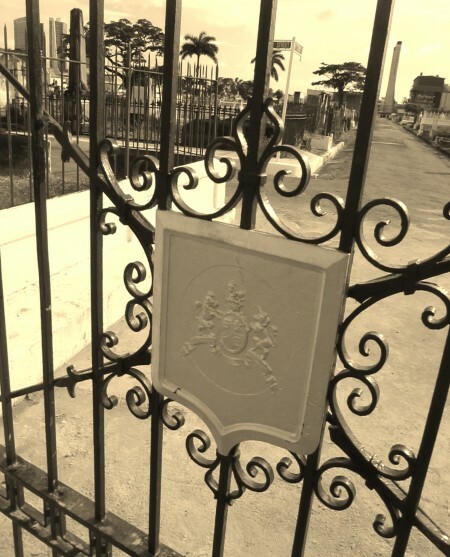 In Port of Spain you will find—if lost—a cemetery gate ordained with the British Imperial Coat of Arms, iron corroding from the relentless force of West Indian rains, an eroding misnomer amidst the rising steel towers of the Caribbean’s most dynamic economy. A freshly-placed bronze plaque, a recent gift to Trinidad & Tobago from the U.S. Embassy in honor of the country’s 50th anniversary of independence, denotes its significance. Roncevert Almond. “Perry Gateway at Lapeyrouse Cemetery in Port of Spain, Trinidad.” 2012. Wandering the streets of Trinidad, I was struck that the true character of a modern nation is not found in the rusting cemetery of empire, but in the living commons—the intellectual and physical space animated by the human spirit. Merely a half-kilometer away, but ages apart, is the birthplace of modern Trinidad & Tobago, Woodford Square. Seated before the country’s Parliament, the Red House, and courts of justice, this public space serves as the beating heart of Port of Spain. There can be no Mother India, for those whose ancestors came from India. There can be no Mother Africa, for those of African origin. There can be no Mother England and no dual loyalties. There can be no Mother China, even if one could agree as to which China is the Mother; and there can be no Mother Syria and no Mother Lebanon. A nation, like an individual, can have only one Mother. The only Mother we recognize is Mother Trinidad & Tobago, and Mother cannot discriminate between her children. (History of the People of Trinidad and Tobago, 1962). 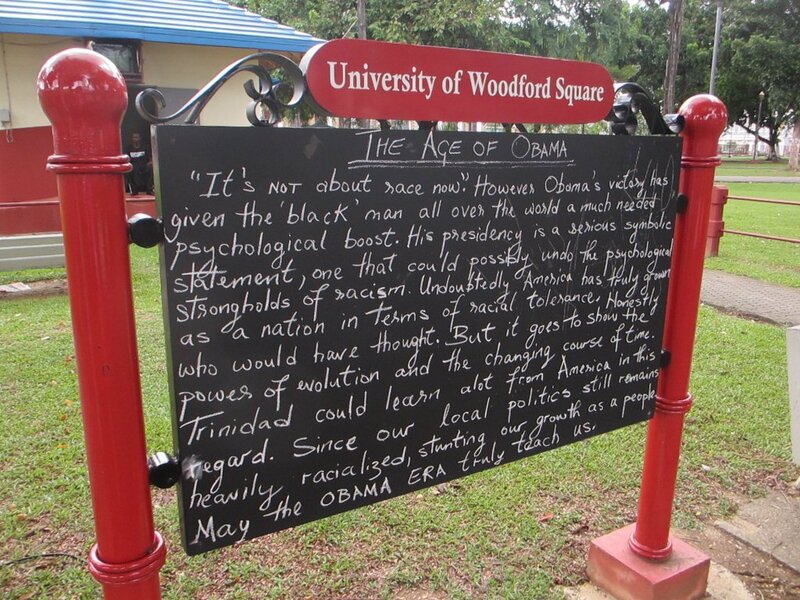 As a result of this political dialogue, Woodford Square was no longer the inert namesake of a former imperial overseer, but a reclaimed center of learning, a breathing manifestation of budding national identity. Upon the lowering of the Union Jack and the tolling of the Anglican Cathedral’s bells, a new nation was born on August 31, 1962. Addressing the new citizens via radio, the Prime Minister reminded his audience that “democracy means freedom of worship for all and the subordination of the right of any race to the overriding right of the human race.” A contemporary of South Africa’s Nelson Mandela, Dr. Williams laid the pathway to a Rainbow Nation in the Americas. The journey began long ago. It was on behalf of the Spanish in 1498 that Columbus first spotted the three pinnacles of the Trinity Hills (hence “Trinidad”), but Madrid largely ignored the new colony due to its lack of gold or silver. Lima and Bogota were more enticing jewels during the mercantile economy of the time. Even Sir Walter Raleigh, in search of El Dorado, was disappointed by the lack of spoils and in 1592 sacked the lonely Spanish settlement. In order to populate the island, the Spanish finally resorted in 1783 to issuing land grants to Roman Catholic Frenchmen fleeing pre-revolutionary turmoil at home. Adam Smith’s industrializing Britain, however, envisioned for its possessions a more complex division of labor. Following Spanish capitulation in 1797, British sugar barons and shipments of African slaves, cogs in the triangle trade of Europe-Africa-America, soon arrived. Amerindian natives were already in steep decline—the exchange of cocoa production for soul salvation from the Catholic Church had resulted in a decidedly one-sided bargain. In a unique and bemusing act of irony, in 1845 the British began “importing” indentured South Asians to the islands in order to fill the labor shortage at sugar plantations caused by earlier black emancipation. They were supplemented by Chinese, Syrians, and Lebanese workers. The artificial arrival of these “Oriental” exiles, equipped with their Muslim, Hindu, and Buddhist upbringing, forced an early debate on multi-racial and multi-religious nation-building. Consequently, via the formation of Trinidad & Tobago, the journey of Columbus was complete. Europe did not arrive in Asia through the Americas. Instead, the Orient, the tale of Azeri poets and Silk Road travelers, had arrived in the Americas through Europe. On the pleasant banks of this Caribbean island, on the volcanic cliffs of this South American mountain, humankind advanced a peculiar experiment. The West—Indies indeed! Dr. Williams noted that with independence the people of Trinidad & Tobago faced the “fiercest test in their history—whether they can invest with flesh and blood the bare skeleton of their National Anthem, ‘Here, every creed and race find an equal place.’” (History of the People of Trinidad and Tobago, 1962). It is a work in progress, much like the United States. At the conclusion of my project in Port of Spain, I ventured to Woodford Square and reflected upon the young Commodore, the end of empire, and the continuous journey of a nation. The park remains a lively space for debate and learning. Unsurprisingly, therefore, I came across the latest lesson offered at the University of Woodford Square—an observation on the meaning of “The Age of Obama” and the power of the “changing course of time.” Given the influence of demography upon national identity, as made evident by the U.S. presidential election, it was a fitting stop on the way home. 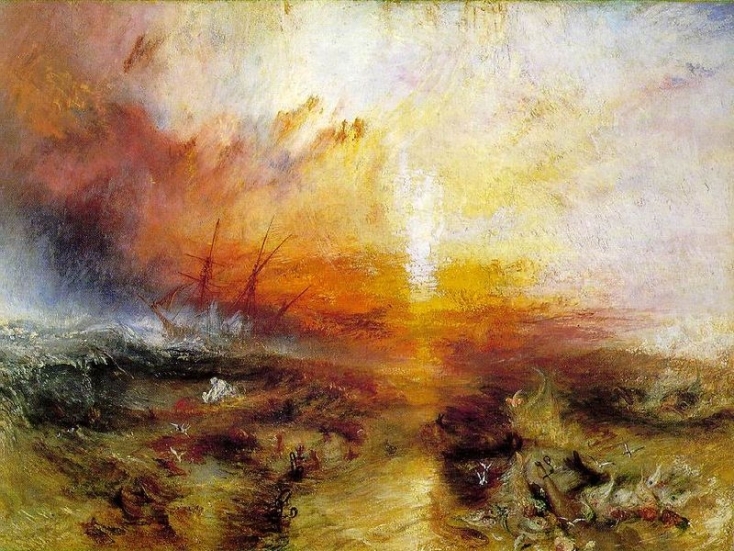 “The Slave Ship” or “Slavers Throwing overboard the Dead and Dying—Typhoon Coming on.” J.M.W. Turner, 1840. Museum of Fine Arts, Boston. The concept of Africa as a unified region whose inhabitants share a common identity developed alongside the transatlantic slave trade of the eighteenth century. Europeans thought that the group of people they purchased and exploited (despite their vast cultural differences) belonged to a common group because of their social position. This position was at first justified by theories of climate. (They erroneously believed that people from “the torrid zone” could withstand hard labor in harsh climates better than those from more temperate zones.) Gradually this inferior social position became known as that of “Africans,” which means that ancestry, geographic origin, and common physical traits became intertwined and began to define an entire group of people. In this post, I examine, through the example of early Haiti (which was known as Saint-Domingue until 1804), the influence of a European understanding of Africa that erased nuances between different cultures. When many twenty-first-century Americans hear the term “eighteenth century,” they might think of the beginning of the United States, the Enlightenment, or perhaps the French Revolution. Artificial divisions between Western and non-Western histories mean that many of us learned a one-sided story about what happened in the Americas in the eighteenth century and do not often think of the many interactions between Europeans and people of other regions that happened during the time. Sure, most of us know about the transatlantic slave trade, but we still do not often think of it as a period of contact that involved two active (albeit unequal) participants: the slave master and the slave. Henry Louis Gates describes what developed out of these interactions as a “veritable seething cauldron of cross-cultural contact” (4). This “seething cauldron,” this place where cultures mixed violently, unequally, and even sometimes harmoniously, gave rise to the first successful slave revolt in the Americas. The eighteenth century did not just end with the French Revolution, but rather with the birth of Haiti, the first black republic, and the first postcolony in the world. Laurent Dubois, a well-respected historian of Haiti, has noted that the Haitian Revolution was an African revolution (5). Indeed, two-thirds of the enslaved people living in Saint-Domingue at the end of the eighteenth century were born in Africa. Beginning in the late 1780s, debates about the rights of three classes of people began in Paris: the enslaved, the gens de couleur (free people, mainly of both European and African ancestry), and slave owners. A lobby of slave owners known as the Club Massiac proved particularly unwilling to budge on rights for anyone with African ancestry in Saint-Domingue. By 1791, the enslaved population took matters into their own hands and began to revolt. Just two years later, the French commissioner Léger-Félicité Sonthonax abolished slavery, which was made official for all French colonies in Paris in 1794. Napoleon’s troops, however, returned to Saint-Domingue in 1801 to reestablish slavery. They were defeated at the Battle of Vertières in November of 1803, and Jean-Jacques Dessalines (1758-1806) declared the independence of the nation of Haiti (from the Arawak name for the island) on January 1, 1804. People arguing against extending the Declaration of the Rights of Man and Citizen (1789) to people of African descent in the colonies used the term “African” to highlight that these people were foreign, different, not French and therefore excluded from access to rights. In this moment, we can see that “African” began to take on a meaning that included anyone with non-European ancestry in the colonies (i.e., people whom French colonists wanted to omit from the new doctrines of freedom espoused by revolutionaries). Early Haitians argued that they were equal to the French, despite the negative use of this term “African.” Yet while “African” was a term that they sometimes championed as they were asserting their humanity, it did not achieve a sense of solidarity among the varied population of eighteenth-and early-nineteenth-century Haiti. The eighteenth-century Creole colonist and writer M.L.E. Moreau de Saint-Méry mentions the large number of different peoples represented among “the black population” of the colony. In his work, distinctions between Africans in Saint-Domingue were glossed, detailed, and translated for those unfamiliar with the colony. A new site developed by the French Atlantic History Group that contains advertisements for runaway slaves shows the diversity of people living in late eighteenth-century Saint-Domingue. Slaves were described as belonging to the Nago, Congo, Senegalese, Gold Coast, Tiambo, and Arada “nations,” just to name a few (“nation” meant “group” in this context). During the Haitian Revolution, these “nations” did not always fight together and division existed among different cultures (Jenson 620). In addition to the diversity present among people born in Africa, slaves born in the colony (Creole) were often of a higher status than those who had survived the Middle Passage (Bossale). The population also included people of both European and African ancestry (often the result of consensual and non-consensual relationships between masters and enslaved women). These gens de couleur were often of a higher class and sometimes owned slaves themselves. What it meant to be African or from Africa in Saint-Domingue at the end of the eighteenth century was complex and multifaceted, which means that in early Haiti vindicating the rights of a group of people based on their common African origin was not easy or even particularly effective. If we examine some of the earliest writing by Haitians—their governmental documents—we see that in order to argue for Haitian national unity, the Declaration of Independence never refers to “Africa.” “Africa” actually meant division and was counter to their vision of a new nation. In a similar manner to Europeans, the authors (Jean-Jacques Dessalines with the aid of his secretary Louis Boisrond-Tonnerre) left Africa out of discussions of identity, but not because they thought of Africans as a unified block. It was precisely the opposite. For them, being reminded of Africa might distract Haitians from the new national identity that they wished to form. If anything, the unified block had to be comprised of Haitians—a new category that Dessalines would, in his 1805 constitution, define as “black.” By associating “black” with nationality rather than with physical traits, Dessalines challenged a developing negative conception of “race” that the Europeans were creating. Dessalines made “black” a political project of independence. Studying the eighteenth century, and Haiti in particular, helps us see how the meaning of the term “African” developed within the context of the institution of slavery. This institution classified its victims based on physical traits that were common to people from a vast region that originally had been categorized only by its climate. In the Americas, it was what this population had in common—their unfortunate position as enslaved peoples—that defined them as a group; physical traits came to represent this position. Slavery created racial difference. It takes philosophical argumentation to combat stereotypes that deny our freedoms as individuals. Early Haitians contributed to eighteenth-century Enlightenment thought on freedom and human rights by challenging and redefining the categorizations set up for them by a hostile colonial ruler. They were some of the first postcolonial philosophers and provide us with a powerful example of how categorizations are ever-evolving ways of conceptualizing the world that should be considered critically and challenged accordingly. Dessalines, Jean‑Jacques. Déclaration d’Indépendance, Centre historique des Archives nationales de Paris, AF III 210. Dubois, Laurent. Avengers of the New World: The Story of the Haitian Revolution. Cambridge, Mass. : Harvard University Press, 2004. Gates, Henry Louis, Jr. The Signifying Monkey: A Theory Of African-American Literary Criticism. New York, NY: Oxford UP, 2010. Jenson, Deborah. “Jean-Jacques Dessalines and the African Character of the Haitian Revolution.” The William and Mary Quarterly , Vol. 69, No. 3 (July 2012): 615-638. Moreau de Saint-Méry, M.L.E. Description de la Partie française de l’Ile de Saint-Domingue. Philadelphia, 1797. “Le Marronnage à Saint-Domingue,” Accessed November, 2012 at http://marronnage.info/fr/index.html.